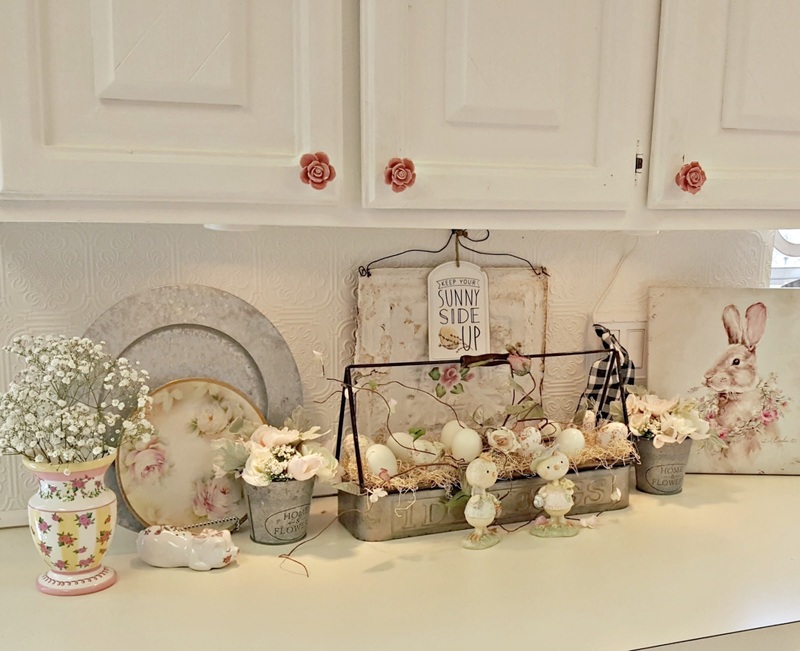 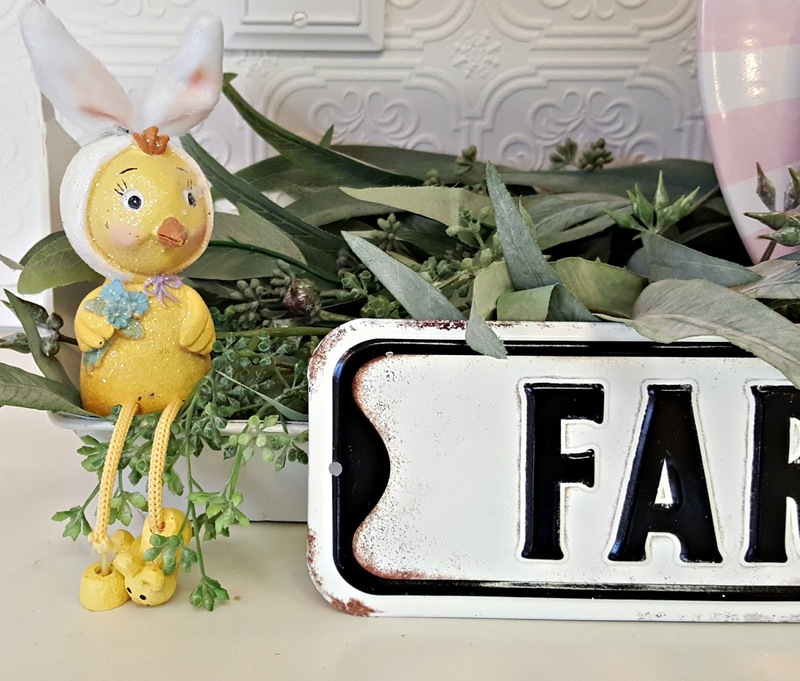 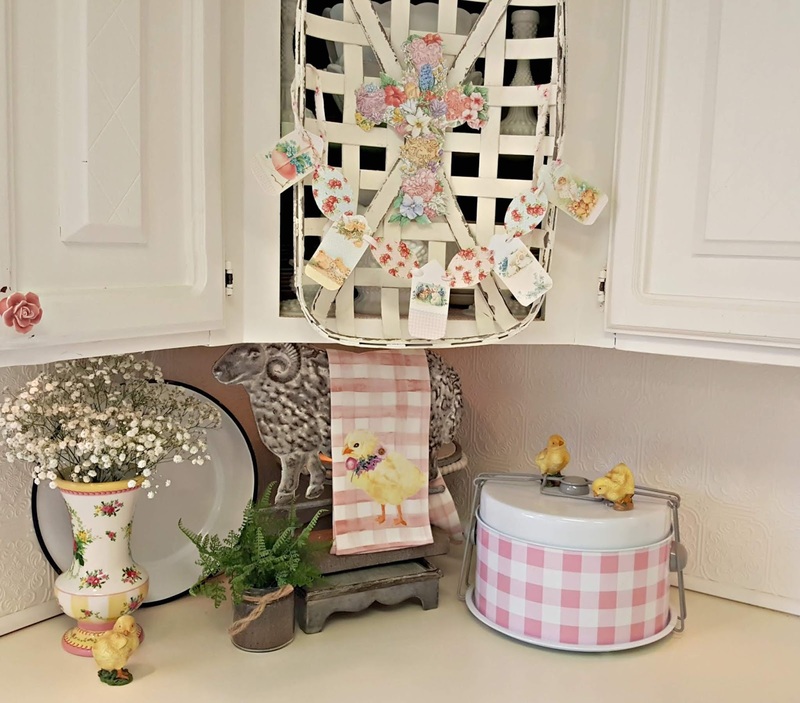 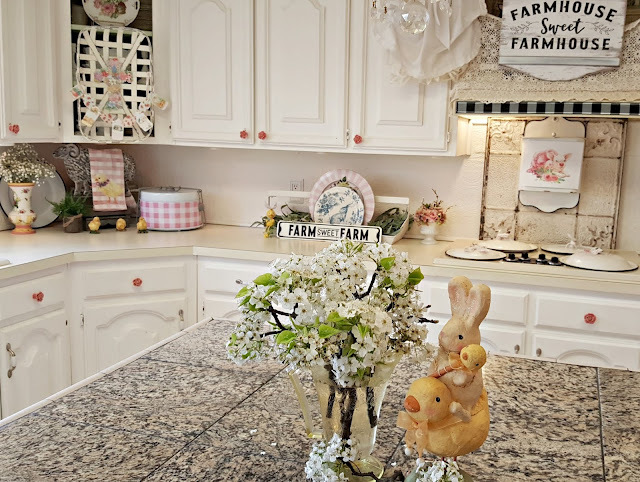 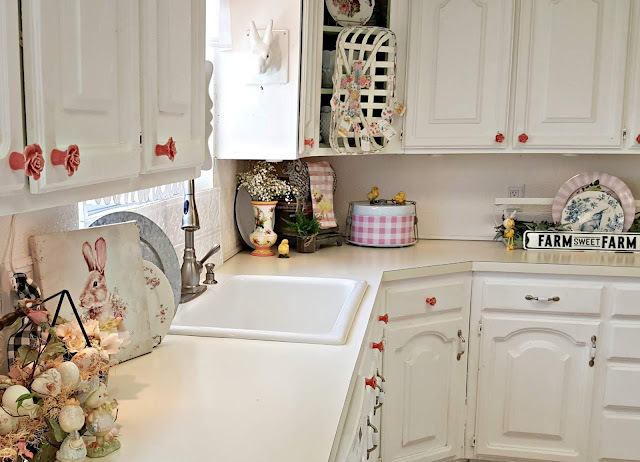 I decorated the kitchen for spring a few weeks ago, so now that Easter is just around the corner it was easy just to add some Easter touches to the existing spring decor. 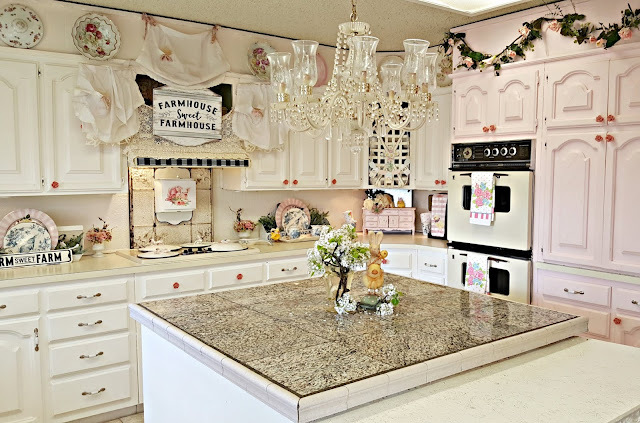 I very seldom put anything on the island. 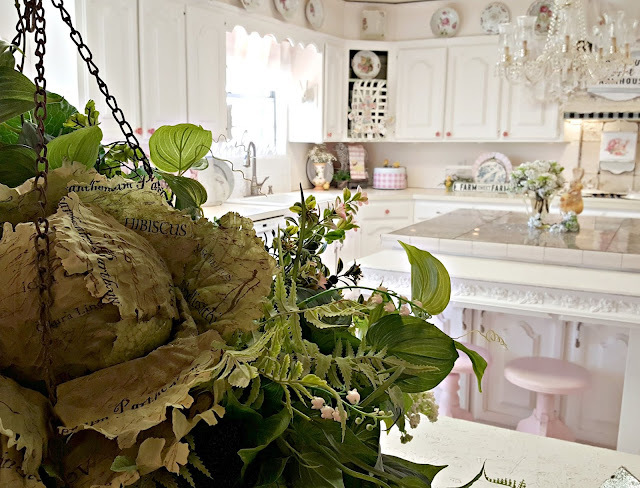 All of the food prep is done on the island so I try to keep it clear of clutter. 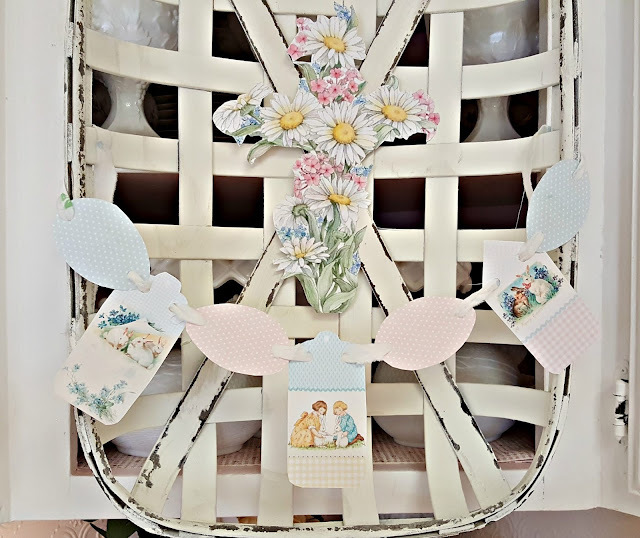 In this existing vignette, I added a babysbreath bouquet, the Sunny Side up tag, and the cute chick couple in front of the metal egg basket. 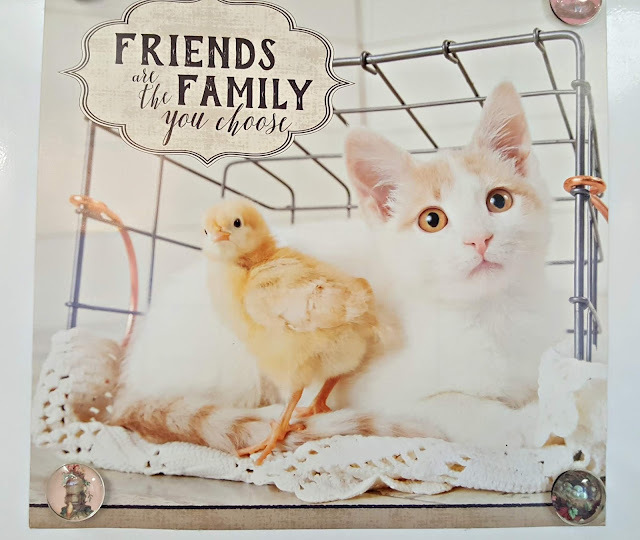 I added a bouquet of fresh babysbreath, the buffalo check kitchen towel, the buffalo check cake carrier, and 3 yellow chicks. 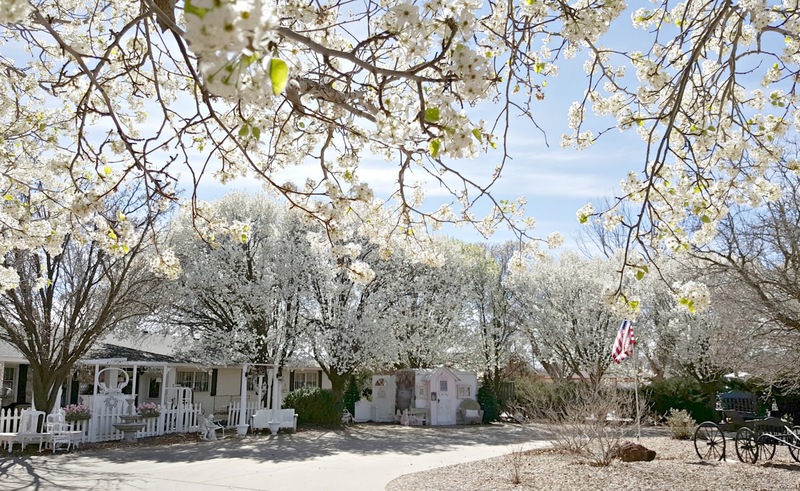 I took down the floral design that was on the tobacco basket and hung a Easter garland and a floral cross. 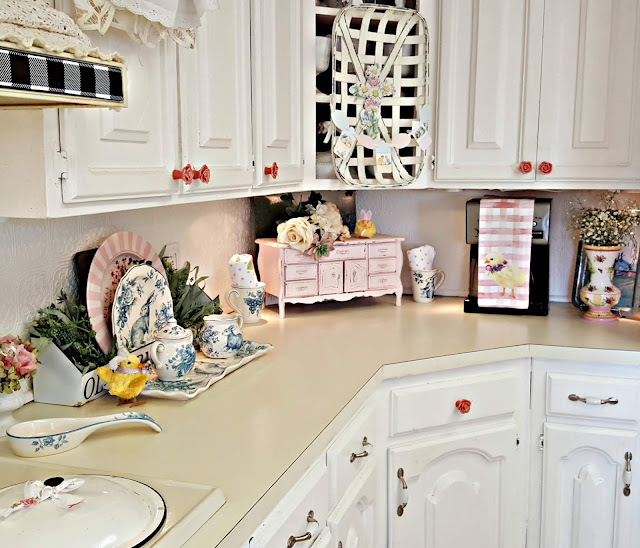 Now let's see whats new on the next section of kitchen counter. I added another chick pretending to be a rabbit to the existing decor. 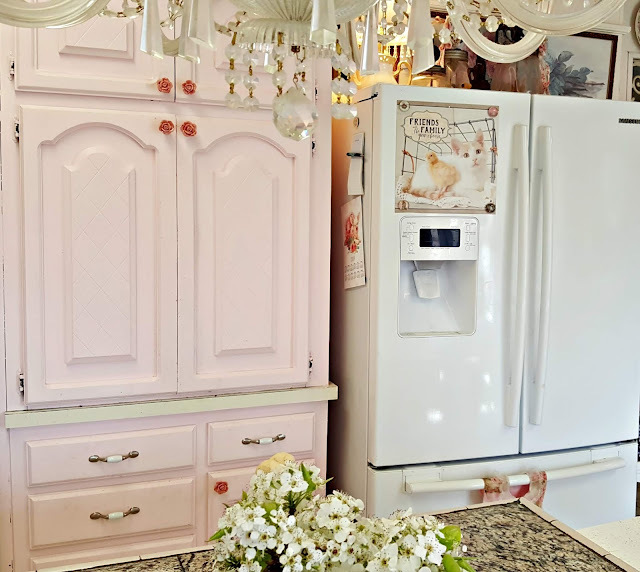 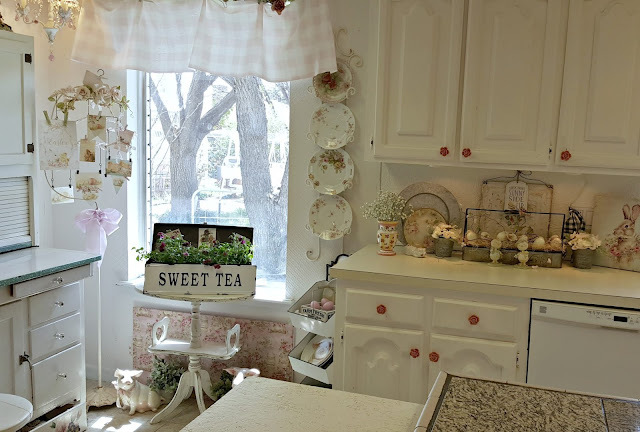 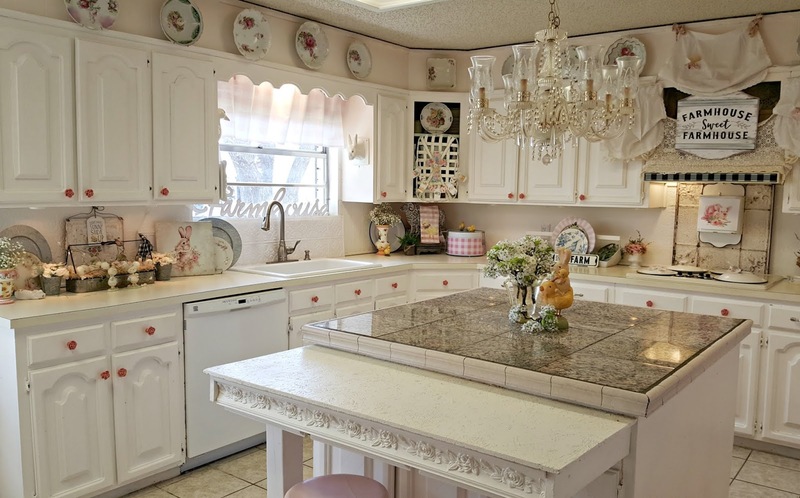 Hung the matching check towel on the coffee pot , changed the decor on the little pink buffet., and added a matching vase of babysbreath like the ones you saw on the other 2 counters. 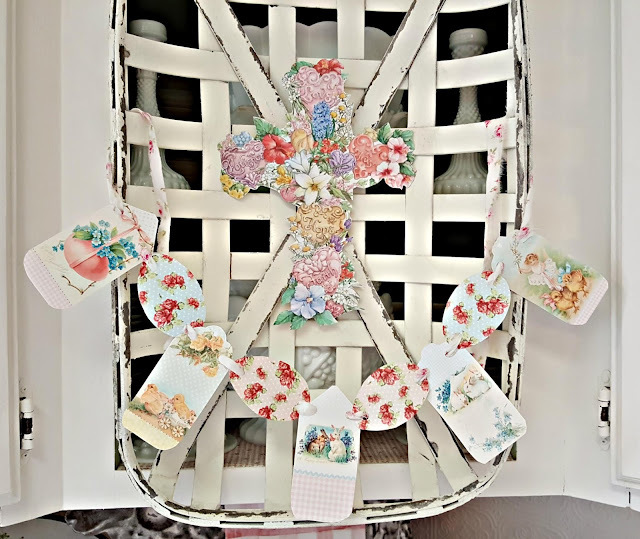 I took down the floral design that was on this tobacco basket and hung an Easter garland and floral cross. 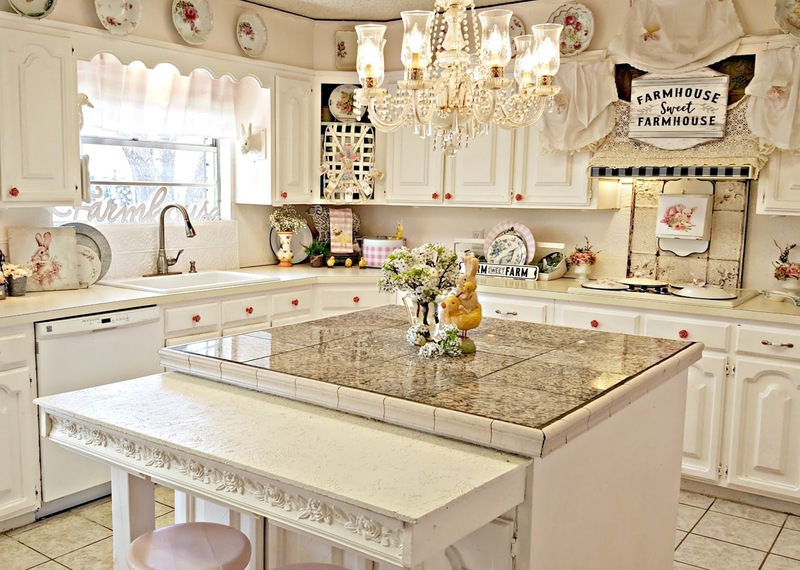 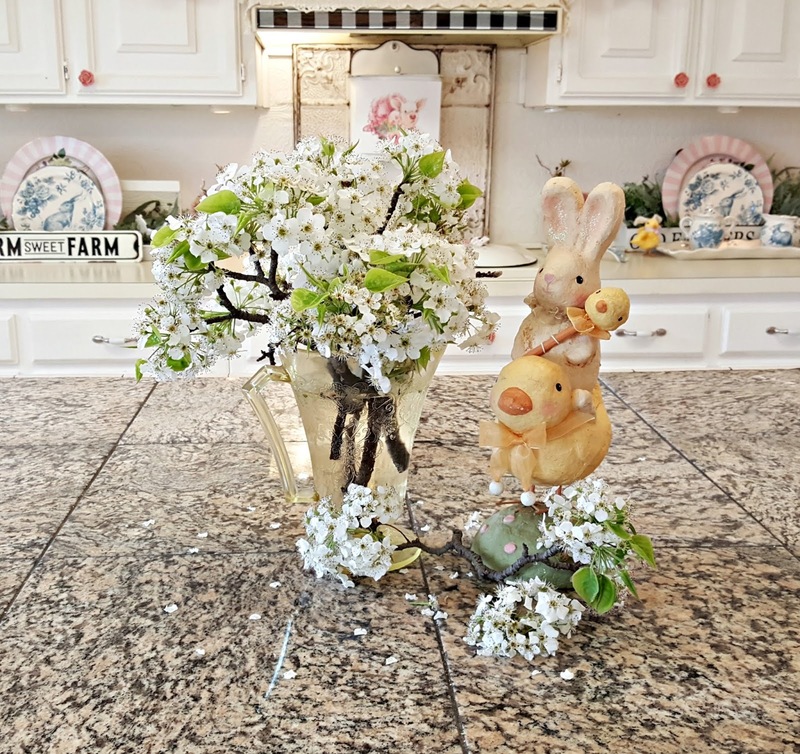 It was so quick and easy to freshen up the kitchen for Easter just by adding some Easter touches to the existing spring decor. I enjoy your visits so much, please stop by again soon! 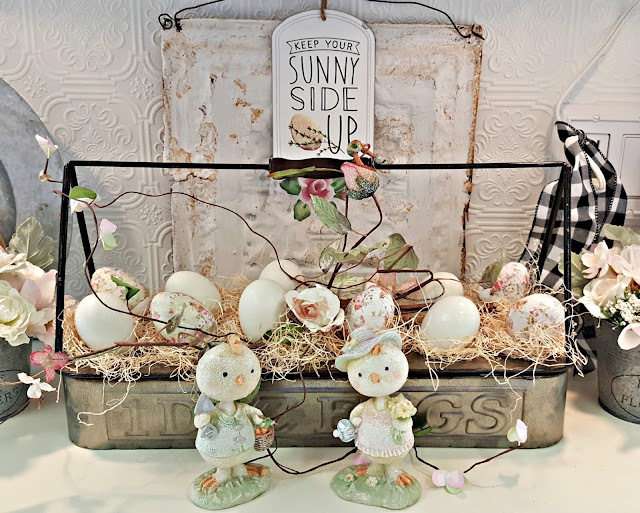 Penny, Everything is so sweet and Easter like. 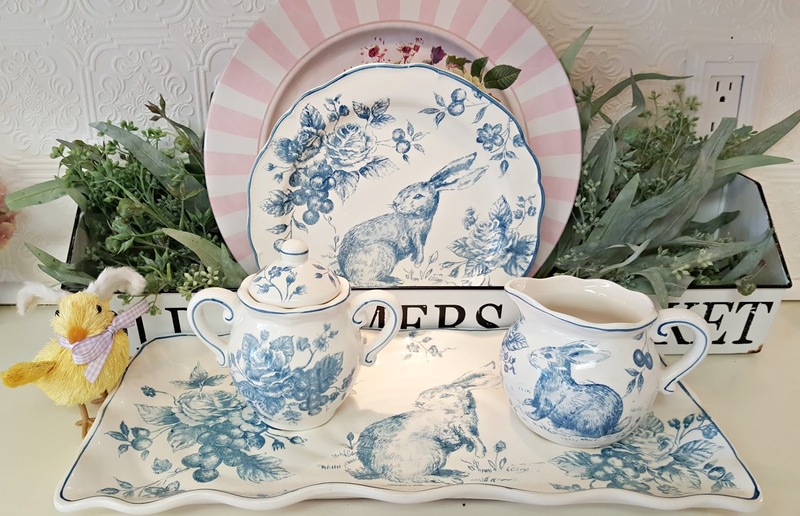 I love the blue rabbit dinnerware. 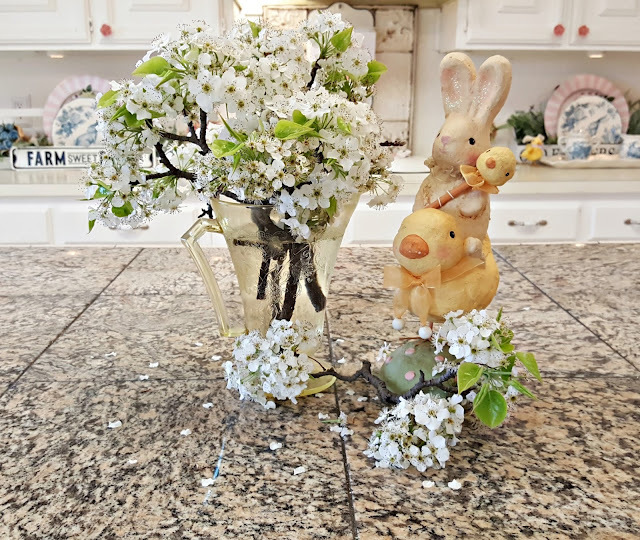 It is another beautiful Easter scene. 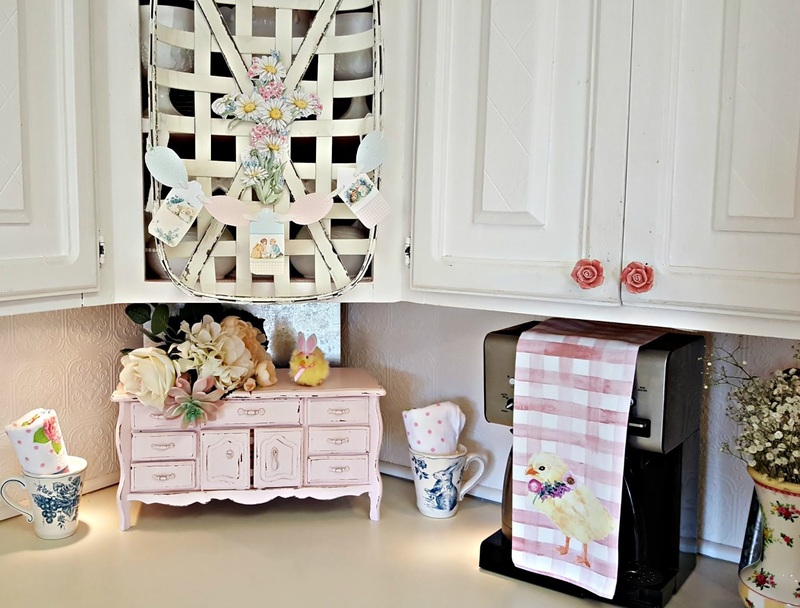 I always love your posts; I could make myself right at home!